← Hire a Man Basket from SafetyLiftinGear! Flatbed trolleys, or platform trolleys, stand out from other material handling solutions because they offer a flat, unrestricted platform that’s ideal for moving bulky objects. The very simple design of flatbed trolleys makes them perfect for all kinds of applications, including moving furniture, goods, materials and more. 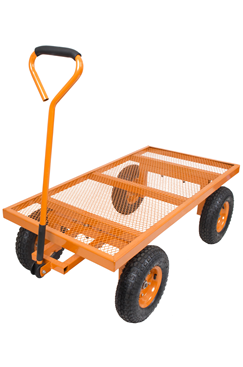 At SafetyLiftinGear we stock a huge variety of different flatbed trolleys ranging from lightweight flatbed trolleys, capable of moving loads of 150kg, all the way up to heavy-duty flatbed trolleys capable of moving up to 1850kg. 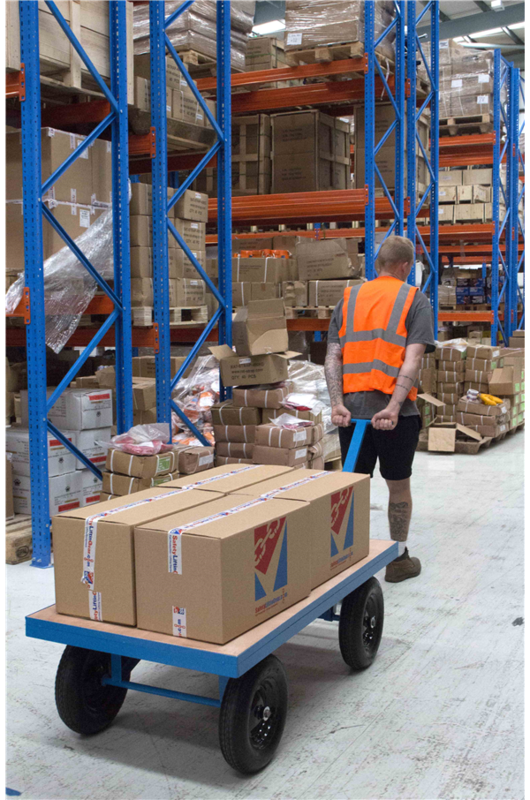 We understand that you don’t always want to invest in a piece of equipment that you only intend to use once or twice, that’s why many of our flatbed trolleys are available to buy AND hire! This heavy-duty turntable truck has been designed to withstand heavy loads with ease! It features large, puncture proof solid rubber wheels and a unique steering mechanism that makes it incredibly easy to manoeuvre in awkward spaces. With an impressive maximum load capacity of 1000kg, this flatbed truck will make the movement of heavy and bulky items straightforward. Hiring our flatbed trolleys is simple. Once you’ve chosen the flatbed trolley for you, click the ‘Hire Me’ button, and your product will be added to your Hire Basket. Then head to your Hire Basket and click the ‘Enquire’ button to request a quote. If you have any queries about hiring our flatbed trolleys, don’t hesitate to give us a call on 0117 9381 600 – we’re happy to help! New Folding Trolley Carts: Perfect For Summer Festivals!